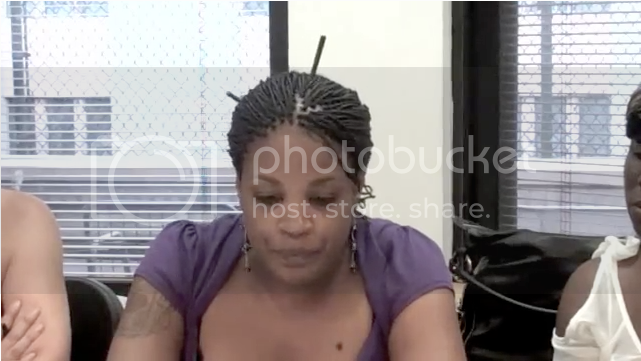 Women on this panel discuss the many institutional barriers to mothering while black. Panelists discuss their varying experiences with the child welfare system of New York. Dinah Ortiz - Dinah has served as a member of several non for proﬁt organizations that focus on the education and wellbeing of current and formerly incarcerated women, pregnant women and mothers battling the disease of addiction and assisting women in overcoming the stigma of incarceration. Currently Dinah works as a Parent Advocate on behalf of the parents in the child welfare system. Jovonna Frieson - Jovonna has been personally affected by the child welfare system and has been organizing to change it since March, 2010. She is a Parent Advocate for New Alternatives for Children. Mercedes Smith - Mercedes was incarcerated for 20 years and raised her children from behind bars. Now she works as an organizer and activist supporting incarcerated women and their children. She is active with WORTH (Women on the Rise Telling HerStory) and the Osborne Committee of Children with Incarcerated Parents. Jen Roesch - Jen is a longtime activist and member of the International Socialist Organization in New York City. She is the author of several articles on sexism, including "Turning Back the Clock? Women, Work and Family Today".